Portland’s weather is taking a good break from its long rainy season (we really have two seasons: cold and rainy, warming to hot and dry) and that means I am experiencing even more fulfilling days outdoors. Since I get cranky and restless when I am inside very long, this is good news for me and those who know me. I have been feeling even more gratitude for living in a place for which I have, perhaps, an inordinate fondness. There is some danger in writing this post. Naming even a few of the wonders of my home town might inadvertently motivate large numbers of people to pack up and migrate this direction. As did I once. We already have more traffic jams than I imagined when settling in Portland during 1993. New housing has been going up like mad, even in the particular quadrant I live within. It is part of a larger area labelled “close in” due to close proximity to city center. Old buildings are being torn down right and left–is the recession over?–and new 3000 sq.ft. houses take their places. Small parcels of land are snatched up by developers, then commandeered by towering apartment buildings, multi-purpose buildings and townhouses. Restaurants seem particularly loved in this city; new ones sprout up often, as do unique coffee shops. Architects and builders must be well-challenged by rain and the undulating landscape’s proclivity for mudslides, as well as the likelihood of eventual, significant earthquakes. We even have an active volcano across our state line that wreaks havoc from time to time as ash disperses freely. But still they come. I know why. Let me name the ways I love Portland. 1. Parks. Today I was duly bedazzled during my daily walk, sometimes undertaken in Laurelhurst Park. Deciduous trees are newly adorned with bright green leaves, showing off their beauty among the cedars and pines. Cherry blossoms, azaleas, rhododendrons put on their own colorful display. Dog owners were playing with their pets as they ran free in a dog run area; families and couples strolled along; runners were working up a sweat. I mused over the fact that I can get to easily a dozen city parks in under fifteen minutes by car, and about five of those within a fifteen minute walk. I am aware of at least one state park within the city; my family spends many days there each year. There are about 279 parks and natural areas in Portland. When I count Forest Park as one of my destinations I am talking about 5100 wooded acres that are inhabited by 112 bird and 62 mammal species. 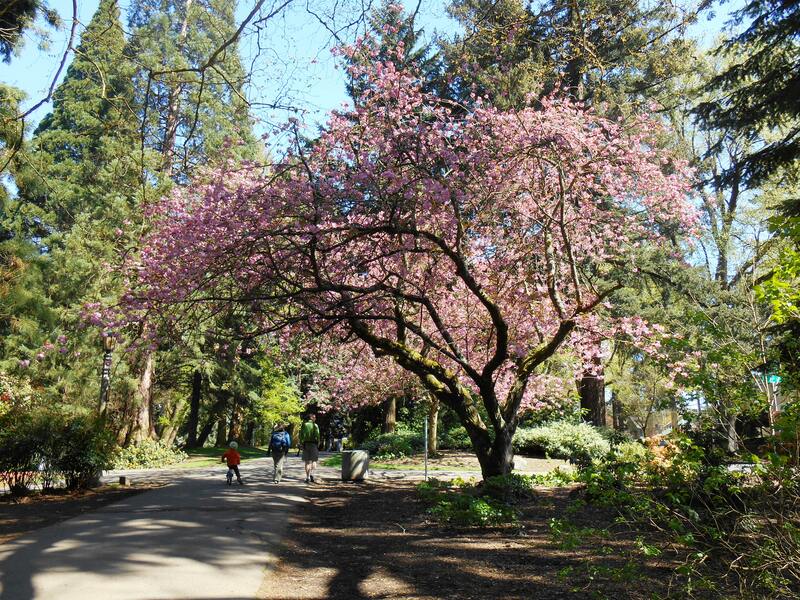 Forest Park is the largest forested natural area within a city limits of the U.S. We also enjoy Washington Park (which includes many attractions such as the authentic Japanese Garden) within the area and have hiked many of the 40 miles of trails over the years. And we even have a lovely, trail-strewn park that is situated on top of an extinct volcanic butte named Mt. Tabor Park. The views there of city and foothills are enchanting, especially at sunset and twilight. What’s not to enthuse about? 2. Water. 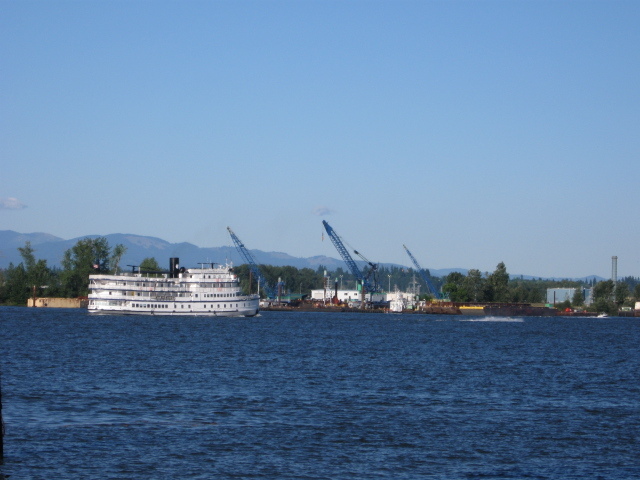 Not far from my home I can see the Willamette and the Columbia Rivers converge. These are mighty and well-utilized rivers. The Columbia originates in British Columbia, Canada and is over 12,000 miles long. It empties into the Pacific Ocean and harbors many kinds of anadromous fish that migrate between saline water and freshwater. A short drive from our place, the 80 mile long river makes its powerful way through the Columbia River Gorge, which is awe-inspiring and at times treacherous due to fickle weather with strong winds. We can experience the tail end of those winds even in my neighborhood, 20 minutes from their source. My family and I have hiked miles of lush, sometimes taxing trails in the Gorge where bears and cougars reign. 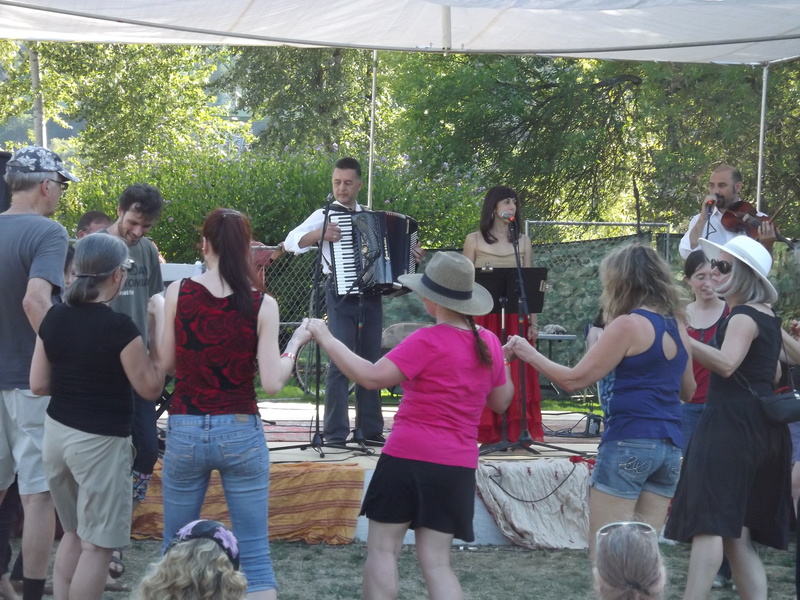 In drier months I enjoy walking and relaxing by the Willamette River where there are colorful dragon boat races and food and music festivals in summer. I hang out by the marina because I love boats (the yachts are pretty, too), an iced coffee and cookie in hand, then head to the Saturday Market for arts and crafts from March through Christmas. There are several other waterways nearby, the Sandy River being a favorite just outside the city for tubing, swimming and picnicing. 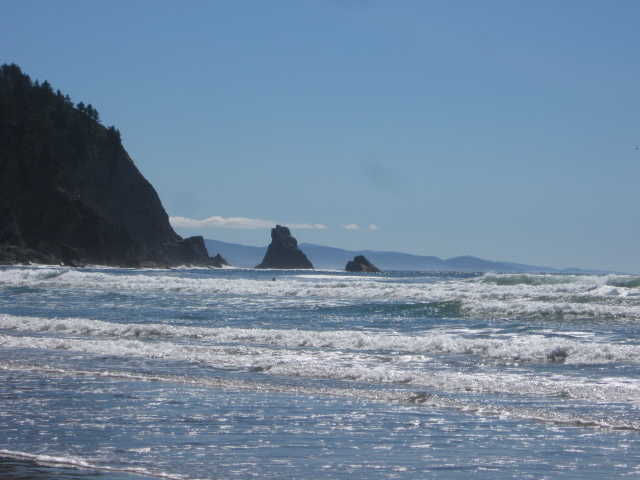 And then there is the Pacific Ocean. We can get there in under an hour and a half; we take off for the coast a few times a year. Even wintry beaches are magnetic and atmospheric, soothing to my mind and body. And there is nothing like building a fire on the beach in dry weather, quietly conversing with nature or my spouse. 3. Mountains and rainforests. These are what initially drove me to the Northwest. Both trigger in me feelings of familiarity, awe, a sense of constancy and ancient protection. I had dreamed about mountainous territory ever since growing up in the flat, charmless (to me) open spaces of mid-Michigan. I had been excited as a younger adult to live in a northern Detroit suburb because there were at least a few rolling, verdant hills–but I secretly yearned for the valleys and heights of this country. 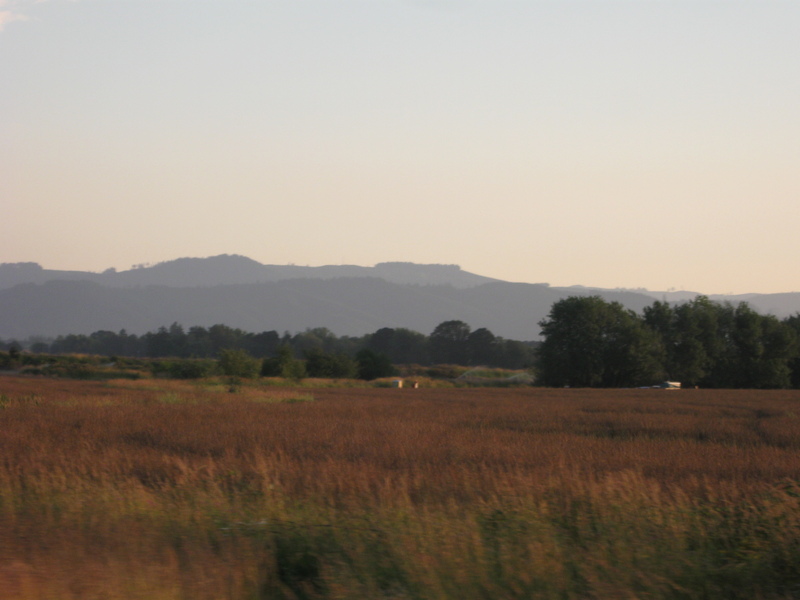 To our west there are the Tualatin Mountains and beyond those, the Coast Range; to the east, the Cascade Range that, with Mt. Hood, creates a distinctive horizon. On a clear day one can see four mountain peaks: Mt. Hood and the Washington peaks of Mt. St. Helens, Mt. Adams and Mt. Rainier. So far this has been all about the emerald beauty of outdoors yet I have barely scratched the topic. We are inveterate walkers and the city accommodates that easily; we love to hike and that has led to many good adventures. But there are many more exciting activities than those. Just talk to the skiers and snow boarders, skateboarders and roller bladers, cyclists, kayakers, campers, rock climbers and backpackers, windsurfers and so on. No one who has a love affair with the outdoors feels unrequited. 4. City center, i.e., downtown. Such offerings! Marc and I can walk a few blocks to hop on a train (“the Max”) and are downtown in a few minutes. Or we can take a streetcar or bus. City center is compact and picturesque with a mix of nineteenth century architecture and soaring contemporary skyscrapers. There are plenty of coffee shops, galleries, indoor/outdoor cafes and food carts; corner-sized parks with fountains and play areas for kids; the waterfront’s lively scene; Portland Art Museum. And there lies Pioneer Square, dubbed Portland’s living room. Last week-end we attended an Oregon Symphony concert, then walked to the Square to hear Pink Martini play with the crowd singing along. There are often musical and other events going on that are either free or cheaper than expected. And how many cities are there in which can you enjoy a leisurely walkabout after a good meal without constantly looking over your shoulder? I have never felt unsafe downtown. Since we are not drinkers we don’t hang out after eleven P.M. but even then I hear there are relatively few incidents. We often head to the famous Powell’s City of Books. And emerge hours later laden with more delicious tomes. Portland is a city bursting with published and aspiring writers so appreciation of the written word is high. Literary groups and events abound. And further enlivening the city are world-class and innovative musicians, artists, dancers, filmakers…you get the point. We could not live happily without an active arts community and fortunately, Portlanders support them. We even have a City of Portland Arts Tax to insure they thrive in our public schools…gads, I better get that paid! I have barely begun to identify Portland’s wiles, oddities and surprises. It’s been fun sharing this very abbreviated tour with you, but I will be back with vignettes about life in “Stumptown” (due to the history of logging). I hope you can begin to see why I was glad, even relieved, to finally arrive. It’s where I belong. 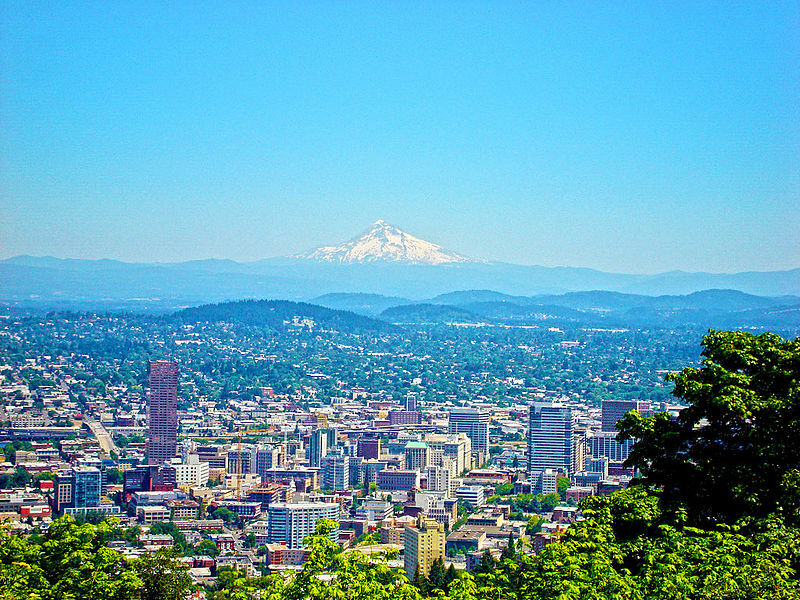 Maybe one day you’ll have the pleasure of experiencing Portland for yourself. I’ve never been to Portland; a friend just moved there and another lived there for a while. People do seem to rave about it — this post makes it much clearer why. 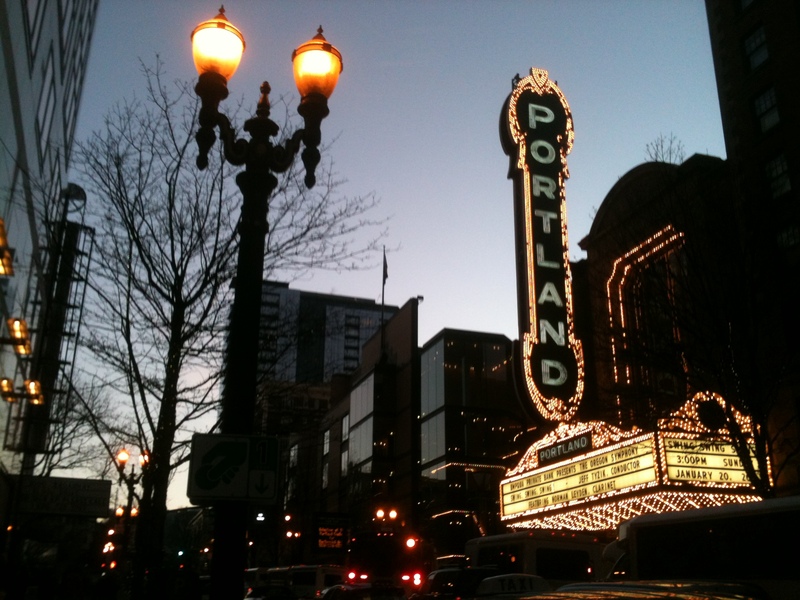 Indeed, Portland has many charms and secrets and it all is accessible unlike many other cities. I have been two New York once only and was amazed. So much to take in and decipher quickly! I enjoyed that mad energy and hope to one day return for a longer stay. New York has many quiet corners. You have to know where to find them.